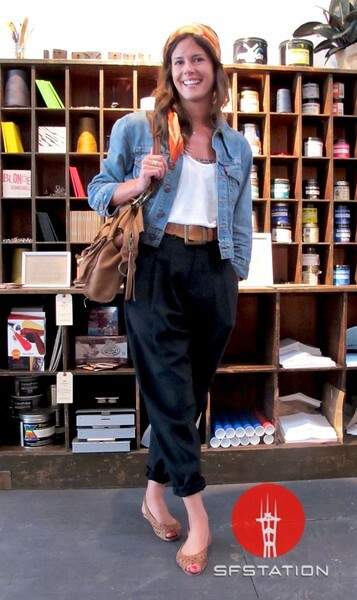 In This Scene: Dawn De La Fuente in Helmut Lang pants, James Perse tank and light Levi's jean jacket. De La Fuente is accessorized with a vintage scarf, Roots bag and shoes from Urban Outfitters. I like the laid back, summery feel of this whole look--it's very Southern California, in the best way.